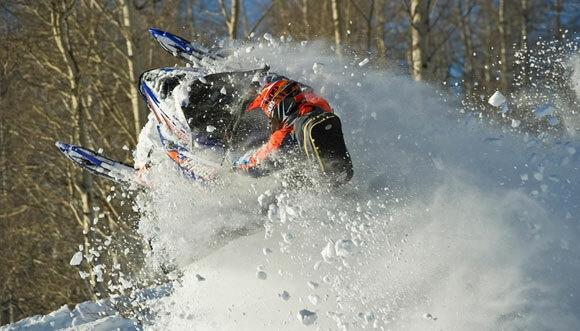 Yamaha’s 2015 snowmobile lineup is highlighted by the new SR Viper M-TX models. 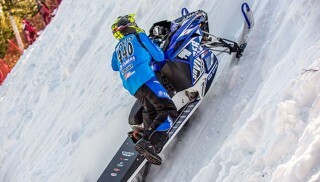 To showcase its new mountain sleds, Yamaha enlisted the help of 509 Films, along with deep powder riders Chad Jorgensen, Chris Brown and Randy Swenson. The result is a fun video showing exactly what the SR Viper M-TX is capable of. Three new SR Viper M-TX models will be available. Features include adjustable, narrow ski stance on the new SRV-M front suspension, 2.6-inch lugs on the Power Claw track, short mountain seat to accommodate rider movement and a tall, vertical steering post. Consumers have options in shock package as well as track length. The SR Viper M-TX 162 and 153 both come in the SE package, with FOX FLOAT 3 front shocks, while the M-TX 153 sports coil springs over HPG front shocks.